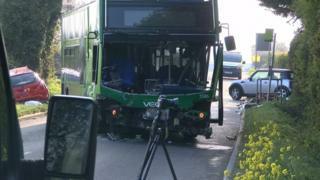 The bus driver, a man in 50s, was seriously injured and 10 bus passengers were taken to hospital as a precaution, police said. Since the crash, more than 2,000 people have signed an online petition to install traffic lights at the “blind spot”. ← Who gets legal aid?